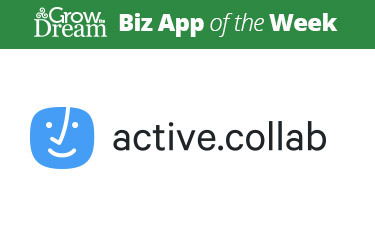 Biz App of the Week: Make your business more awesome! 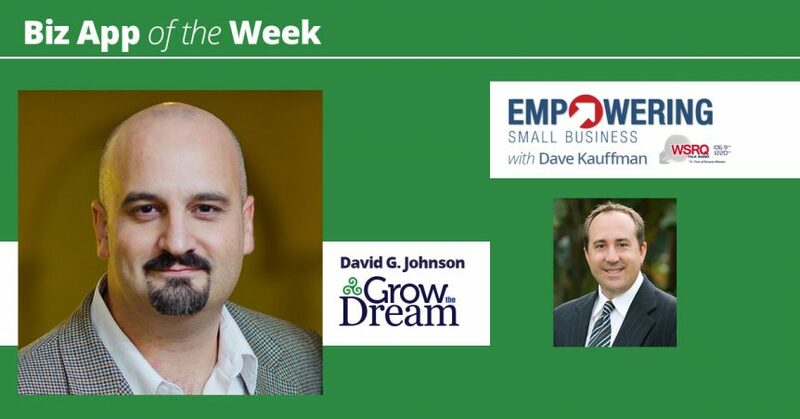 Each week on the Empowering Small Business Radio Show, our founder David G. Johnson shares a business app you can use to either grow or run your business! Keeping track of mileage can be a royal pain. But in 2016, every mile you drive your personal vehicle for business purposes can be worth $.54 (or $.51 if it’s a motorcycle)! However… you don’t want to try to claim those miles unless you have good mileage logs. In fact, the record-keeping requirements you need to follow in order to stay out of trouble are pretty significant. That’s why a good mileage tracker app can be a lifesaver! 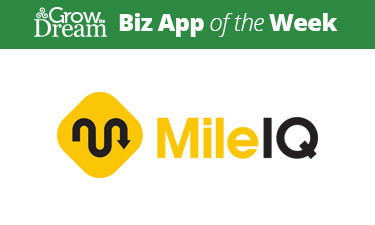 Available for both iOS and Android, MileIQ is one of the top-rated, most downloaded mileage tracker apps for either platform. Just set up your free account and start driving! If you drive more than 40 “trips” for business each month, you’ll want to upgrade to a paid account for only $5.99 a month (but you can save 20% with this link!). You can also save a little bit if you pay annually instead of monthly. At that rate… claiming just 12 miles per month more than pays for the app! But at tax time… that’s when the real savings happen: time savings. Just pull up your drive history and away you go! MileIQ features automatic drive detection (using your phone’s GPS), low battery usage, automatic cloud data sync, multiple vehicle profiles with odometer tracking, toll and other expense tracking, and more. You’ll wonder why you ever tried to keep a paper mileage diary! Check out MileIQ today! Continuing education for your business… on your own time. I don’t know about you, but I love to read. The problem? As a busy business owner, it’s hard to find the time. That’s why I love Audible. Using my smartphone, I can listen to the best business books while I drive, work out, or even in the office when I might otherwise listen to the radio. 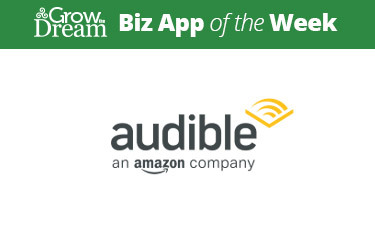 What can you learn on Audible? Well first of all, they have over 250,000 audio books in their library. All of the best business books are available to listen to, including current bestsellers like Grit: The Power of Passion and Perseverance by Angela Duckworth, or Outliers: The Story of Success by Malcom Gladwell. Or business classics like The 7 Habits of Highly Effective People by Stephen Covey or Michael Gerber’s The E-Myth Revisited: Why Most Small Businesses Don’t Work and What to Do About It. You can also listen to lecture series from some of the world’s top professors in business schools via The Great Courses. Or pick up a new classic like Profit First: A Simple System to Transform Any Business from a Cash-Eating Monster to a Money-Making Machine by Mike Michalowicz. Audible is great for summer road trips and business trips. And the best part? You can get started with a free Audible download of your choice! Just click here to start your trial. How hard is it to guess or steal your passwords? The answer is: it’s shockingly easier than you might think. Chances are really good that right now, you are using the same password on multiple websites (or some variation of the same password that makes it easy to guess your password on other sites once one of them is known). Wired recently published an interview with a Russian hacker who sells passwords to criminals, and who currently has more than 800 million email address & password combinations for sale, including 167 million stolen from LinkedIn. He’s just one of many such thieves, and he’s only selling accounts from publicized thefts, meaning he and his pals are keeping the ones that were stolen from sites whose thefts are not yet known. And these thieves are busy trying to break into your stuff on other websites. In just the last few weeks, Carbonite, the major online backup service (sensitive data, anyone?) and GoToMyPC are just a couple of examples of companies who have detected “password reuse attacks” on their systems. OK back to reality. The reality is, you need LastPass. 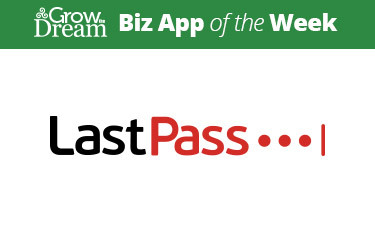 LastPass is a simple-to-use password manager that generates complex passwords for sites you visit, stores them for you in an encrypted database, and provides access to you with an encryption key that only you know. Available in browser extensions for popular browsers like Chrome & Firefox, as well as via mobile apps for Android & iOS, LastPass is everywhere you need it to be, and offers some of the highest levels of security available anywhere. Need to run a survey, collect information from your clients or website visitors, or provide a questionnaire for people to complete? …but you don’t want to hire a tech wizard? Leave it to Google to create a simple, easy-to-use solution… and then make it free. 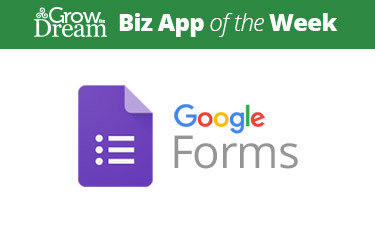 That’s right: Google Forms is free. All you need is a Google account (if you have a Gmail account, you already have one!) to get access to Google Forms. But of course, it’s also part of the Google Apps for Work suite of products that we use and recommend every day. Open Google Forms & choose one of the pre-made templates or start from a blank form. Add your questions. Allow your respondents to type in their answers, choose from a list of responses you provide using checkboxes, dropdowns, or multiple-choice options. Send the link to your live form to the people you want to fill it out! It’s that easy! Responses will be collected for you in Google Sheets, where you can securely and privately access the information you’ve collected. Once you try it, you’ll come up with all sorts of reasons to use Google Forms! Do you need branded email services, calendaring, productivity software (like Google Docs, Google Sheets, etc.) for your team? Start your free trial of Google Apps for Work today! If you like it, sign up for only $5/month per user! 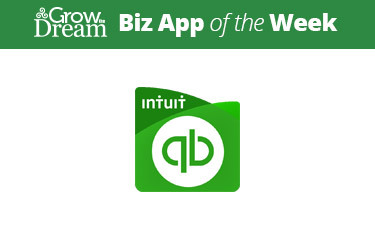 Intuit’s QuickBooks is certainly a de facto standard when it comes to small business accounting and bookkeeping software. But if you’ve been a QuickBooks customer for a while, you may not realize that QuickBooks has powerful mobile apps as well. The QuickBooks mobile apps work with your QuickBooks online subscription, so data you access and any changes you make from the mobile app are reflected in your QuickBooks online data. Making your business look good can be a challenge. Every time you post to social media outlets like Facebook… every time you write a new blog post, update your website, or prepare print materials, you need to make a good impression. And one way to do that is to use great-looking, professional photos. But boy can they be expensive! I’ve paid more than $150 to license one great-looking image… and hundreds more to hire professional photographers… just to get the right image. But what if you could have access to professional photos for a fraction of that price… and never worry about getting sued or having your site taken down because you violated someone’s copyright? 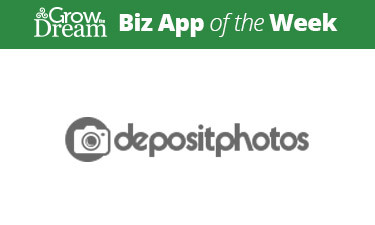 That’s where DepositPhotos comes in. How do you stay in touch with your team? How do you communicate about plans, quick questions, checking in on details… sharing ideas? Do you use email for that? Maybe text messages? Instant messenger applications like Google Hangouts, Skype or Facebook Messenger? What about when you need to bring a new person up to speed? Or just loop someone in who should’ve been involved in the dialogue from the beginning? That, my friend, is where Slack comes in handy. Slack is the next generation of messaging for teams. 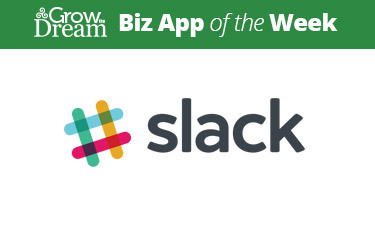 Many teams can make great use of Slack at the free account level. Click here to try it out today! Keeping projects on track has got to be one of the most difficult challenges in most modern businesses. Team members often work digitally or remotely… gone are the days of the centralized project timeline on the office wall… who would see it? These days we often find ourselves collaborating with our own team as well as outside contractors and vendors. How can we keep everyone “in the know” and up-to-date on the status of various components of a project, while keeping everyone focused on the right tasks and deliverables? And this isn’t to mention getting the right resources in everyone’s hands! We all know email is a nightmare: which email thread was that important detail in? Was everyone copied on the discussion that needed to be? Whoops… somebody forgot to cc: everyone on their reply… or it got forwarded to the wrong people! YIKES. If you’re like me, perhaps you’ve tried more than one “project management” system. But getting people to actually use them is a challenge in and of itself. Well that’s why I want you to give ActiveCollab a try. …but your team will actually use it! Pricing starts at $25/month for teams of up to 5 people, and it will grow with your business as far as you need to go! Sick of dealing with payroll reports? Compliance with various Federal, State and local agencies requirements? What about withholding the proper amounts? And more importantly: making sure the money has been set aside and is still there when it’s time to send it in? Keep your bookkeeping handled properly by synchronizing payroll & contractor payment transactions directly into your accounting software. Allow employees & contractors to enter their own private information securely and track their own payment histories, including pay stubs, through the easy-to-use online interface. 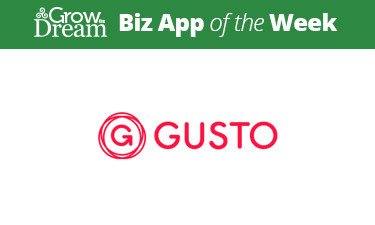 Get 2 months free when you try out Gusto today! HelpScout is the ultimate customer service tool for teams who share responsibility in answering customer needs! Check it out absolutely free here. 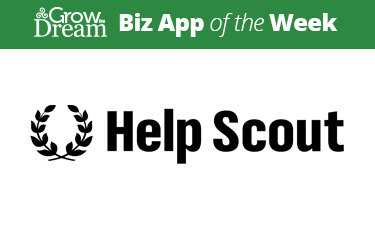 How does HelpScout help your business? By creating a shared email inbox for your team, you can create fantastic customer experiences. Keep track of customer questions, issues, needs, and so on… and know for sure when & how they’ve been handled! No more customer service issues dropping through the cracks! Respond quickly and efficiently via email or via the HelpScout web interface and access pre-written responses to common questions so that you ensure you’re following your best practices every time! Assign incoming issues/needs to specific members of your team. Gain access to reporting data about your response times and lots of other useful info to help you improve your customer experiences! (Paid accounts only). HelpScout is absolutely free for teams of 3 people or less. Need more team members? Need additional shared inboxes? HelpScout has low-cost plans to help a business of any size do a better job taking care of their customers! 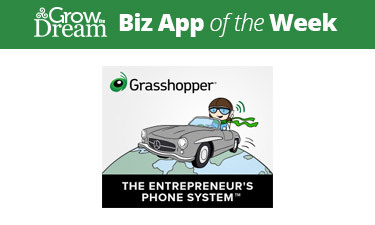 Grasshopper is the Entrepreneur’s Phone System! Check it out here. Get all your voicemails delivered to your email inbox. Set up rules to allow incoming calls to different departments to be forwarded to the number(s) of your choice during specified times of the day or week. Get easy access to fantastic voice-over artists to make your system sound even more professional! Do you ever find yourself struggling to remember what you needed at the office supply store? What about a checklist for getting a certain job done? Taking notes in a client meeting that you don’t want to lose? There’s an iOS app (for your iPhone & iPad), an Android app, a Google Chrome extension, and of course you can also use it from any web browser. All your notes, to-do lists, checklists, and other goodies are always in sync across all your devices and platforms! You can share anything with anyone so you can collaborate! There are built-in reminders you can use to remind you of stuff at a certain time. If you’re a Google Now user, you can also set it up to remind you when you’re at a certain location! 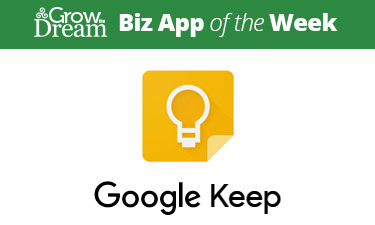 All in all, Google Keep is kind-of a Swiss Army Knife of note-taking, reminders, and checklists. Once you get started using it, you’ll find it indispensable! As a top content management system, it can be used to publish content to the web that tells the stories of your customers, their successes, their needs, their wants, their desires, and the solutions you provide. It’s the simplest, most powerful, and most straightforward way to get noticed in search engines. You can build your website with it or use it alongside your existing website. You can use it as a central hub for your social media posts, where you publish content to your own site first, then share to Facebook, Twitter, LinkedIn, or other social networks that make sense for your business. It’s highly versatile, and can be customized to suit almost any imaginable business purpose. *The WordPress software can be downloaded free of charge from wordpress.org. There are costs associated with using it in that you’ll need to have a web hosting account (or your own web server), a domain name, and so forth. But you don’t pay any software licensing costs for WordPress itself. You are also free to use it for any purpose, so there are no restrictions on it at all. Today WordPress powers more than 25% of the World Wide Web! 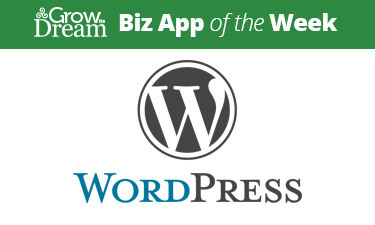 Do you want to learn more about how to use WordPress to grow your business? Contact us today!